You’ve got your new crossbow, but now you need a case to store and carry it in. 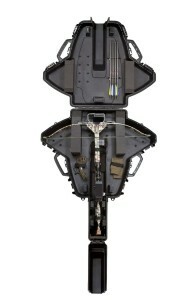 There are so many choices out there in crossbow cases that it might be bewildering to figure out which case to choose. We’ve reviewed a number of crossbow cases, and during our reviews we have narrowed down what factors really matter in a crossbow case. Read on for some helpful tips on what to look for and what to avoid in a crossbow case. 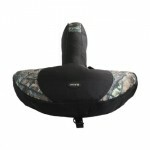 The first decision you’ll need to make is whether you want a hard-shell case or a soft-shell crossbow case. This decision is something of a personal preference, but you should also think about how you’ll be transporting your crossbow in its case. If you travel long distances with your crossbow, a hard-shell case is definitely a wise investment. These cases are built to provide extra protection against the bumps and jostles that crossbows might encounter at the hands of baggage handlers or anyone else who doesn’t realize, or care, about the expense of the item inside the case. On the other hand, if the extent of your traveling with your crossbow is just from your house to the archery range or local hunting area, you might not need the extra protection offered by a hard-shell case. If so, a soft-shell case can often provide the simple protection from the elements that you need. Just remember, a soft-shell case will usually have minimal padding, so you’ll want to treat the case with care when you are moving your crossbow from one place to another or storing your x-bow. When looking at a soft-sided case, look carefully at the materials used to construct the case. You’re looking for a durable fabric, such as Endura, a high-quality and sturdy blend of nylon and polyester fabrics. You should also look carefully at the zipper, ensuring it is large enough to be durable in the field and openable with gloved hands. Typically, a #10 zipper will fit the bill nicely. Hard-shell cases are typically made of some sort of polymer, like plastic, but you should still look carefully at the specifications and reviews of the case. You’ll likely want to avoid a case that scuffs and scratches easily. You should also make sure the latching mechanisms are stiff and sturdy enough to keep the case closed. If you’re going to be traveling via air or bus with the case, look for latches that have lock-holes in them for use with padlocks. Of course, it’s very important to make sure your crossbow is going to fit inside the case. Not all cases are created equally, and it can sometimes be challenging to find a case that will fit your x-bow and scope comfortably. 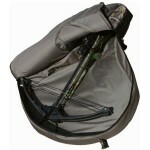 This is especially the case with recurve crossbows, which are usually wider than compound x-bows. If at all possible, try taking your crossbow with you when you look at cases, so you can test the fit. When you look at the materials your prospective case is made from, tear-resistance is the biggest factor you’re worried about with soft-shell cases. You’ll be carrying the case around a lot, and will sometimes need to carry it through underbrush or other potential tearing hazards, so you’ll want to make sure the case is nicely tear-resistant. Avoid cases that make use of microfiber or other non-nylon fabrics, since these will tear easily. You should also avoid cases that have too-small zippers, because the seams of the zipper will often tear away when you are closing or opening the case. Let’s face it, hunting happens in some pretty poor weather. You want to make sure your crossbow case is going to protect your x-bow against the elements, so you want to ensure it is fairly weather resistant. Most soft-sided nylon cases will be water-resistant because of the properties of nylon, but you still need to worry about the seams and zipper being resistant to the elements. Ask if the case is weatherproof, and if it requires regular treatment to maintain its weather resistance. In hard-shell cases, the weakest point is usually the seal between the two halves of the clamshell. Make sure a rubber gasket is in place between those two halves, since that rubber gasket is what is going to keep the water and snow out of your case. Avoid hard-shell cases that don’t offer any UV protection, because the ability of a case to withstand the harmful UV rays of the sun will also protect your x-bow inside the case. Next, you want to look at the inside of the case. How much interior padding does the soft-shell case provide? Remember, with a soft-shell case, the only thing that is really going to protect your case from bumps and jostles is the padding, so make sure that it is thick and consistent all around the case. You should also look carefully at any straps that are meant to hold your crossbow in place within the case. Are they sturdy and well-attached to the case, or do they tear loose easily? 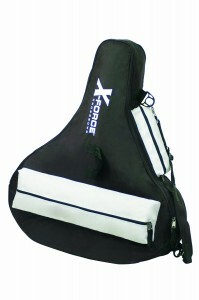 Avoid a case that suffers from torn straps, since these straps offer a level of protection for your bow. For hard-shell cases, the interior protection is usually offered by foam inserts. Look carefully at the placement of the foam inserts and retaining straps to hold your crossbow in place. Make sure they will fit snugly around your crossbow, holding it and protecting it from impacts and drops. One of the most common problems we’ve run into with crossbow cases, especially soft-sided cases, lies not in the inside of the case but the outside, with the carrying handles and shoulder straps. Check the stitching of these carefully, to ensure they are well-stitched with a sturdy thread. Otherwise, you’ll end up with a case that has the straps tear loose, which makes it difficult to carry the case and can sometimes result in a dropped case. Finally, look for extra pockets for accessories, like rope cocking devices, rail lube, and your arrows. Does the case offer these extra pockets, and are they big enough to be really useful? Hard-shell cases will often lack pockets, per se, but will instead have hook & loop fasteners designed to hold those accessories, or will have a separate accessory box that snaps into place in the case. You should avoid any case with pockets that are too small for your arrows and other accessories, moving instead to a case that is more designed with your crossbow in mind. We’ve come across a number of cases, for example, that are designed with arrow pockets that accommodate 18” or 20” arrows, but not 22” arrows. If you shoot 22” arrows, you’ll want to make sure you find a case that your arrows will fit securely inside. These guidelines will help you choose a crossbow case that is best for your needs. 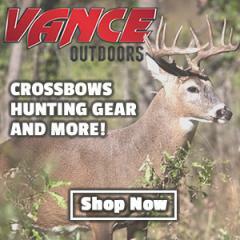 Just remember that the goal of the case is to protect your crossbow and accessories, and look carefully at your choices and reviews to make the best selection.